I used to work at a music store delivering pianos and organs and one day a Marshall amp comes in and I’d only seen pictures of these, only Eric Clapton and God’s play these! I said I gotta have that amp, and so I worked all summer to buy that amp and we were already too loud as it was and now I had a 100-watt Marshall! It was so dam loud I did everything from facing it backwards to facing it down to the floor … I was just too damn loud! So I saw an ad in the paper for another Marshall amp and thought “maybe this one will be different”, well it certainly was cuz when it showed up I plugged it in and it didn’t work … but, I left it on and what I didn’t realize was this thing was from England and it was 220-volt, and I plugged it in and I didn’t look at the back and see it was set on 220; it took a long time for it to warm up at half voltage, and when I picked up my guitar I was like “it sounds incredible!” … but incredibly quiet. It dawned on me “I could control the volume of the amp with the voltage, so I proceeded to hook it onto the light dimmer of the house, and blew it out and so on. So finally I went to this place called Dial Radio and asked “do you have any kind of like an industrial variable voltage transformer that I can use like a light dimmer” and he said “yea I got this thing called a Variac”, I said “ok cool”, and I take it home and plug the amp into it and I’d lower the voltage from like 110 slowly down to 100 and ... the lowest I ever went was like 60. Depending on the room we were playing I’d set it anywhere between 60 and 100 because the only way the amp sounded good was with everything all the way up, so that became my volume knob. If we were playing little bars I’d set it to like 60 volts; somewhere a little bit bigger I’d crank it to 80 and for recording the sweet spot seemed to be 89-volts. So ... if lower wattage high-gain tube amps would have been around in like 1974-76 ... Eddie may vary well have NEVER turned to Variacs! I don't know about y'all, but that kinda blew my mind; I always thought Edward started using a Variac specifically because he wanted to change the sound of his Marshall. Shoot, that's what EVERYONE has always said, and so I believed it ... the lesson to be learned here is to never believe second-hand information. 1) You are using an old amp that was designed when standard AC voltage was 110, and now it's 120 ... and often the measured voltage at a household outlet can be well over 125-volts! 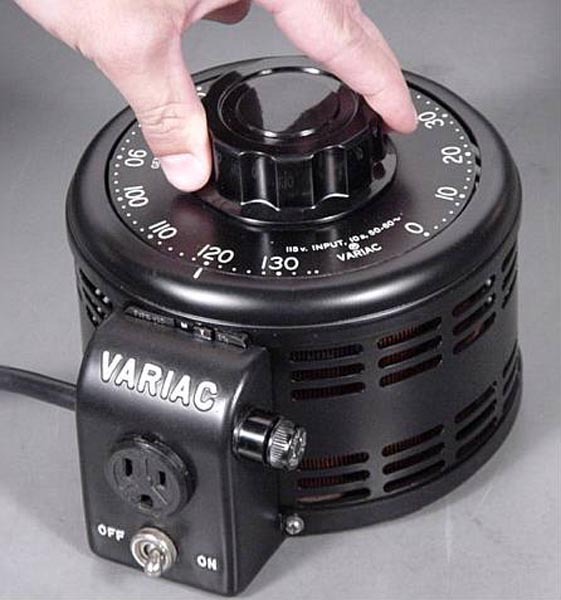 So, to protect the amp from operating at well above it's designed voltage, by all means, use a Variac! 2) You LOVE the sound of your tube amp with "everything cranked" as Eddie put it ... but then it's just too damn loud! 3) You want to prolong the life of your tubes. Vacuum tubes running below their rated voltage will have a significantly longer life ... just remember that when you go down too far the amp won't work at all, that's probably why Eddie said he never went below about 60-volts (about half it's rated voltage). Okay ... so ... no major snake-oil here folks, just a man trying to make his "too damn loud" amp more manageable! 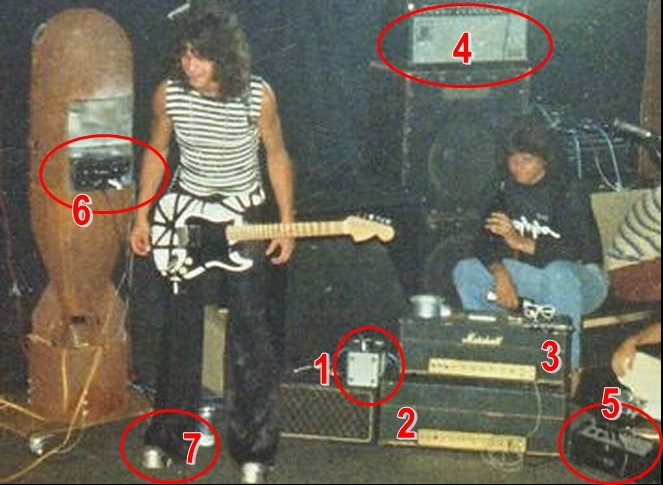 While uncovering this secret, I actually found not one ... but TWO more major EVH secrets that the world seams to have gotten wrong! Serriously ... even waaaay more earth shattering than the variac thing. So, don't miss the next two blogs. Can Ya believe it... Michael Anthony's bass through a MUSIC MAN and home made 2x15 cab!?! What, Eddie in shiny silver disco platform shoes?? ?